Jennifer and Gary had the type of beach ceremony that people dream of: waves lapping in the background, the sun shining overhead, the soft sand under their feet, and not a cloud in the sky. "It was love at first sight!" shares photographer Tori Buck, who captured the couple's idyllic Folly Beach wedding. 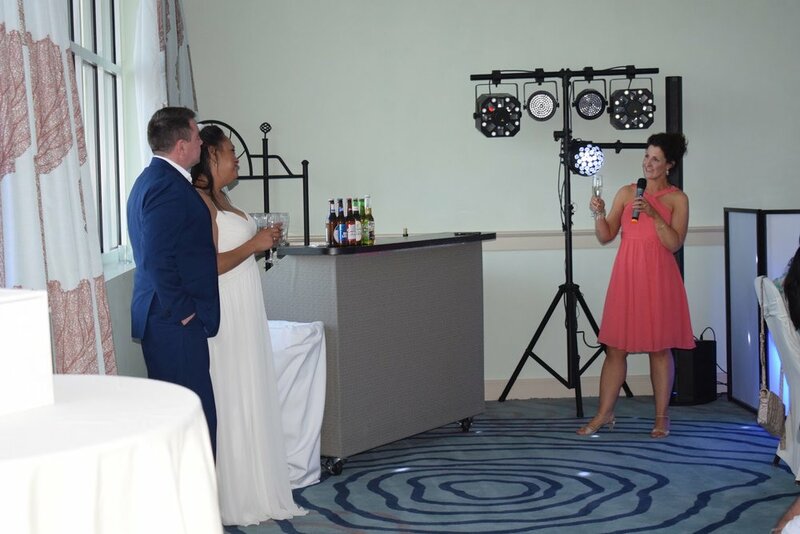 Jennifer and Gary met while he was stationed in South Carolina with the Royal Air Force, and they immediately knew that they were meant for one another. Just six months after meeting, the two got engaged and started making plans for their oceanside ceremony and reception. 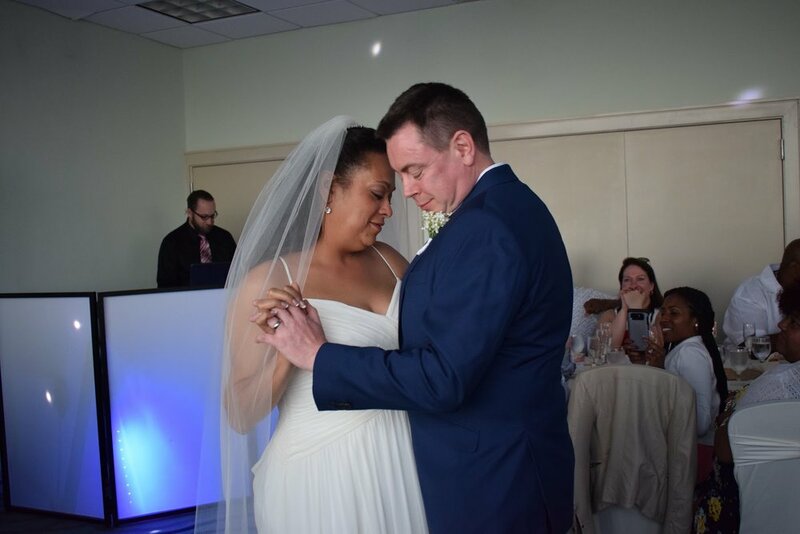 Even with a few last-minute hiccups with event planning, the two gathered with their friends and family members to take the next big step in their lives surrounded by love and laughter. Despite the album worthy photos from the wedding, Jennifer and Gary had a few challenges on the day of their wedding. Thankfully, their family and vendors pulled together to make those small bumps along the way smooth and perfect by the time the couple said "I Do"! Remembers Tori Buck, photographer at Dandelion Weddings, "Our florist didn’t come through, but we made d0 with the local florist down the street. Tis would explain our BARE arbor!" Thankfully, the natural loveliness of the beach provided a beautiful backdrop in the absence of florals. The last minute lack of florals also caused a scramble at the wedding reception. "[The florist] was also to provide the cake topper, so we made our own," recalls photographer Tori. It's a good thing that Jennifer and Gary had plenty of creativity and kept cool heads about the unexpected issues! "None of this took away from the bride's happiness. Although it wasn't perfect, it was perfectly imperfect," states Tori. Dandelion Weddings is partnering with a group of Charleston vendors to bring one lucky couple a free wedding! See more details here.